Hardcover, 9.5 x 11 in. / 272 pgs / 50 color / 130 duotone. 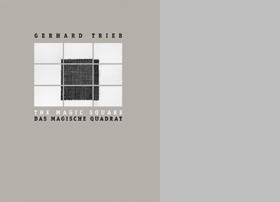 In his minimal sculpture and prints, Gerhard Trieb ponders the theme of the "magic square," dealing with the traditions of modern art, exposing dissonances, and triggering related thought processes. 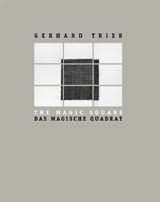 Interested neither in portraying nature nor in using colors, Trieb has spent the last 20 years confronting the battle between nature and art, the natural and sculpted stone. As the artist himself has said, "I produce art because there is nothing else left for me." FORMAT: Hardcover, 9.5 x 11 in. / 272 pgs / 50 color / 130 duotone.